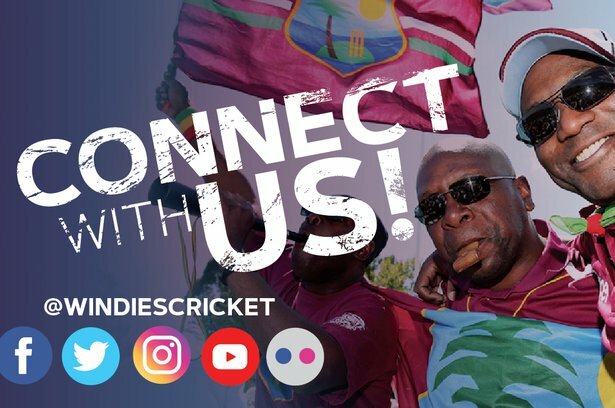 ST. JOHN’S, Antigua– A day of drama in the West Indies Championship on Thursday was marked by batting collapses in the key match, a destructive spell from Jerome Taylor and another milestone hundred from Devon Smith. 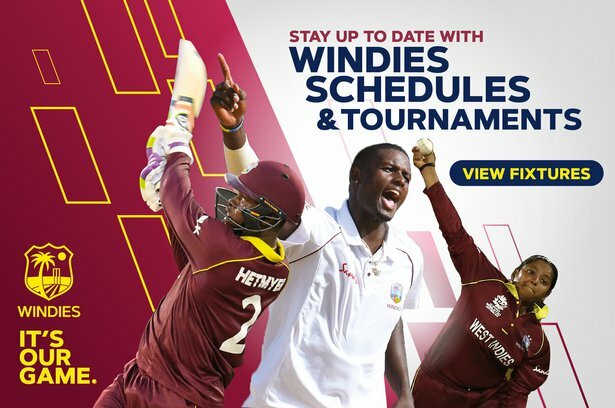 Exciting WINDIES all-rounder Keemo Paul conjured up magical performances with bat and ball to twice hurt Trinidad & Tobago Red Force, allowing leaders Guyana Jaguars to keep their noses in front at the Queen’s Park Oval on the opening day of sixth-round matches in the Championship. In a day/night contest – Taylor grabbed 5-28 from 11.5 overs, allowing Jamaica Scorpions to seize early control against second-placed Leeward Islands Hurricanes at Warner Park. And, Smith dominated with his 37th first-class hundred, as Windward Islands Volcanoes collared Barbados Pride’s bowlers at Kensington Oval. On a day when 20 wickets tumbled, the 20-year-old Paul was never out of the spotlight, first coming to the fore by taking 3-26 from 10 overs with his medium-fast bowling to help dismantle Red Force’s batting in their first innings. Fast-medium bowler Clinton Pestano supported with 3-37 from 8.4 overs, left-arm medium-fast bowler Raymon Reifer and new-ball speedster Romario Shepherd took two wickets apiece, as the home team never found their footing. No Red Force player passed 20 in head coach Mervyn Dillon’s first match in charge as Tion Webster, batting at three, top-scored with 19. In reply, Jaguars were rocking on 44 for five before Paul, batting at eight, gave them relief, lashing a whirlwind unbeaten 66 that included 10 fours and three sixes off a mere 36 balls to give the leaders a narrow first innings lead. He added 38 for the seventh wicket with Romario Shepherd, whose dismissal was one of three for three runs in the space of eight balls, as the Jags slipped to 117 for nine and it signalled the start of the fireworks from Paul. Veteran Red Force leg-spinner Imran Khan was the pick of the bowlers with three for 22. After Derval Green, his new-ball partner, removed the in-form Montcin Hodge and Test batsman Kieran Powell cheaply, inflicted further agony with the scalps of Keacy Carty and Devon Thomas to leave Hurricanes 54 for four. But Test selectee Jahmar Hamilton, whose 65 from 87 balls was the top score, anchored two half-century stands to bring some respectability back to the innings. 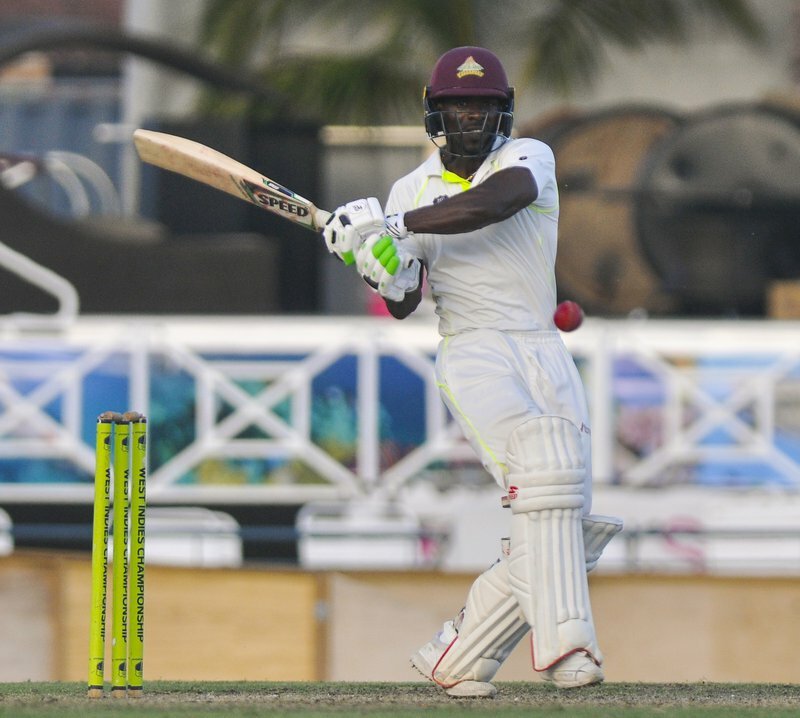 He put on 66 with Terance Warde and a further 64 with Rahkeem Cornwall before he became the first of two wickets for Rovman Powell. When Powell removed Cornwall two overs later, Hurricanes were 189 for seven and Scorpions captain Paul Palmer brought Taylor back to mop up the tail. The veteran fast bowler did so in spectacular fashion, when he bowled Orlando Peters and Damion Jacobs, and trapped Sheno Berridge lbw to bring a close to the innings. A typically enterprising, unbeaten 55 from Jermaine Blackwood helped the Scorpions recover from a stuttering start and finish the day as strongly as they started. Smith struck 18 fours and one six in an undefeated 146 from 256 balls in six hours, 21 minutes of batting, as Volcanoes piled up the runs after they chose to bat. Sunil Ambris hit a fluent 79, former Barbados captain Kirk Edwards made 39 and Roland Cato added 29. No such dominance was envisioned when Taryck Gabriel perished cheaply on the stroke of the first hour for three caught at short leg to off-spinner Ashley Nurse. But Smith emerged from a cautious start to anchor three outstanding partnerships with Ambris, Edwards and Cato, and ensured Volcanoes dominated virtually all three sessions. Test fast bowler Miguel Cummins was the pick of the Pride bowlers with 2-63 from 23 overs.